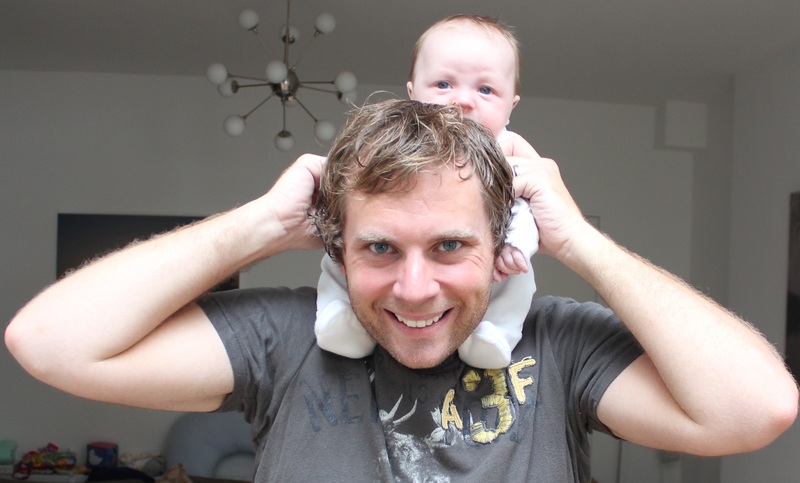 Finally – the first set of results of the parenting tips crowdsourcing experiment! It’s taken a while to share these, but as any parent will know, when you have a baby, time seems to just slip through your fingers. In any case, I’ve finally got around to publishing the first set of results from the “Secret Life of Parents” experiment! As you may know, just before our own daughter was born, I corralled a bunch of friends, family, colleagues and strangers to share some of the insights that had helped them most when having a baby, but that they wish they’d figured out sooner. I also asked for things they wish they’d known about giving birth before going into labour, as well as recommendations of really useful ‘big’ purchases, and details of things they’d bought that turned out to be a waste of money. I’ll write up the results of those later, but if you’re expecting, or have just had a baby, and want the raw data in the meantime, just send me an email. I published all the suggestions that came in, and gave parents a week or so to rate each tip, from 0 to 5, depending on how strongly they agreed with it, or else skip the question if they had no opinion. By doing the second round, I hoped to try and identify the most useful insights that had been offered. We were amazed that more than 50 people came up with suggestions, and that 35 people responded to every single suggestion. It amounted to almost 7,000 ratings in total!! So thanks again to everyone who took part, either suggesting tips, or responding to them. I have yet to draw names out of a hat for a small present to say thanks for taking part, but will do so, soon. What simple thing do you wish you’d known when your baby first arrived, that took much longer than that to figure out? Babies don’t always fall asleep when they are tired – they can also get cranky and cross. Breastfeeding is harder than you think. It’s worth seeking advice early on if you are having problems. Don’t try to work out ‘why’ all the time: why does he poo at 3am? why won’t he go to sleep at 7pm? why does it take an hour and a half for him to breastfeed? It wasn’t until I had my second baby that I realised it was much easier just to relax and go with it. I was able to enjoy the first few months much more second time around. Don’t panic – what ever it is, it’s usually just a phase. When you haven’t slept properly in three months, when you’re at that stage where you’re putting socks in the fridge, wearing clothes inside out, think: This too will pass. Wish I’d known my baby had tongue-tie (which is so common but ignored by many medical professionals, and caused terrible feeding problems and excruciating pain). When friends and family ask if there’s anything they can do in those first few days, anything you need, say ‘yes, please’ and ask them to tidy your house or cook you a meal (or several) or do the washing up. That beats a massive teddy bear any day. Your life is upside down, so get some dull, practical but invaluable domestic help. All your free time disappears. You wonder what you ever did with yourself before! swaddling is good – stick with it. So congratulations to Katie H, who came up with both the first and second most highly rated entries! I agree with almost all of those 10 – and I’m pretty sure that we’ve benefited as a family from having the inside track on what parents found to be most useful. Indeed, I often think ‘don’t panic’, whenever our baby is doing something weird. And sure enough, it often is just a short phase. And our daughter frequently forgets how to fall asleep, especially when she’s tired. Keep in mind that the average score is the average of those who expressed an opinion. Nessa’s comment about tongue tie is a good case in point. With only 11 out of a possible 35 people who rated entries actually giving a score, it was the least scored tip. But for those with an opinion or experience, it is clearly a very important point. Sleep with your baby — he/she will learn to latch on and suckle if you’re breast feeding. You’ll get more sleep that way. When sleeping in “gro’bag” (baby sleeping bag), tuck it under a thin sheet to stop it rolling all around the bed. This prevented baby waking up at a 90 degree angle at the the end of her cot. Use disposables in the first few weeks when everything is chaos, then when you have a handle on everything, switch to cloth nappies. Cloth nappies are almost as easy, a lot cheaper, and don’t leave your living room smelling of milk and poop. The right food at the right time prevents so much stress. No pasta near bedtime, they don’t sleep. And the fact that there are sensible ideas even at the bottom of the list, goes to show that the calibre of people’s suggestions was generally very high. Plus, I found that where there was a lot of disagreement on a particular issue, the score turned out much lower on average; you can read more on this a little later. Now, of course with such a small sample of responses, it’s impossible to draw general conclusions, but it has also been interesting to see where men and women differ in their views. For example, do you think men, or women, would be more favourable towards ‘controlled crying’, where you sometimes let your baby ‘cry it out’? Controlled crying feels wrong but for some babies it’s the only thing that works (and we tried everything else before finally resorting to it). Relax and realise that they really will sleep oneday. Either leave them to cry a little bit from the age of about 3 months or give them a dummy. It is literally impossible to get them to sleep on their own without doing one of these! How to tell if he was feeding properly or not, turned out he wasn’t but nobody noticed, which led to much stress and supplementing with bottles. So with an average score of 3.4, compared to men’s 2.2, surprisingly perhaps, women seem to be more willing to go for controlled crying. And they are also more concerned about, or perhaps just more aware of tongue-tie, than men. Whereas men seem to prefer swaddling, where you wrap your baby up to help with sleeping – giving an average score of 4.8, compared to 3.7 for women. Then there are the ‘marmite’ entries where people generally either loved or hated an idea, irrespective of gender. As mentioned above, this partly explains why lots of ideas that many would think are sensible, ended up at the bottom of the table. Virtually every book on childcare is crap. All you have do is feed it when it wants food, change it when it’s dirty, and cuddle it so it feels safe. That’s basically it until it can walk and talk. that it’s ok to let them sleep on you or your partner for the first few weeks. If I’d known I’d never get to a restaurant ever again, I’d have taken my wife out a bit more in the run up. To get proper blackout curtains on the windows. So first off, people either love or hate childcare books! And for some reason, blackout curtains are controversial. Then there are those who like to use baby painkillers, and those that don’t. In fact someone dropped me a line later to say that you should only really mix calpol and ibuprofen with a two hour interval between switching. Which brings me to another point I suppose I should make: in doing this experiment, I am not endorsing, recommending or criticising anyone’s advice; so use any of the insights here at your own risk..! But from my perspective, making use of the collected wisdom of dozens is definitely better than reading one parenting philosophy book, and sticking with that. I also feel as though this experiment offers a possible alternative to the conventional internet discussion forum, where lots of people offer tips, but it can be difficult to identify the most helpful advice that has been offered. And here, finally, as promised, is the full link for babies data. Thanks for reading this, and thanks again for taking part, to those who did. I’d love to hear your thoughts, suggestions and comments, either by email, or using the comments section below, or on my Facebook page or Twitter feed, if that is how you heard about this.